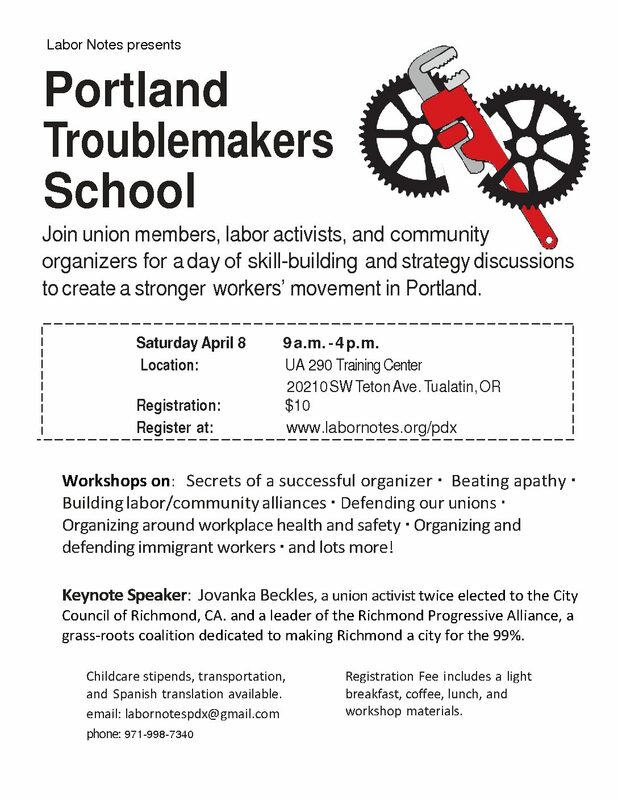 Portland State University is hosting a Labor Notes School from 9:00 AM to 4:00 PM on Saturday, April 8. Since 1979 Labor Notes has published labor news and organized movement training for “union activists who want to put the movement back in the labor movement.” This one-day event will be a great chance to learn how union activists have organized vital, effective organizations, and to make contacts with fellow academic union activists here in Oregon. United Academics will pay for three members to attend, so please get in contact if you would like to come. This opportunity is open to all members: UA activists, reps, stewards or anyone interested in getting more engaged with the labor movement. Lunch will be provided at the school, and the organizers at PSU will arrange accommodations if you would like to come up the night before.